Effective graphic design must reflect your business’s personality and enhance your prospect’s desire to do business with you. Graphic Designer Randy Groft has worked in the creative business for more than three decades. Formerly an ad agency Creative Director and Design Director, he has received more than two hundred awards for creative excellence, and his work has been featured in American Corporate Identity, Art Directors' Annual and Print Magazine. 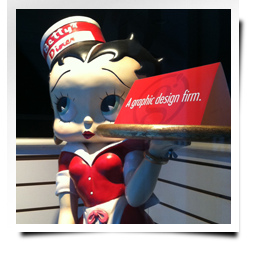 Partnering with Groft Design means you get direct one-on-one contact with a leading Central Pennsylvania creative expert for optimum quality, efficiency and service.